Prospective families are invited to schedule a tour of our school and meet with Principal Meredith Pucci or our Preschool Director, Ellen Soukup. We also welcome your child(ren) to join us for a classroom visit. 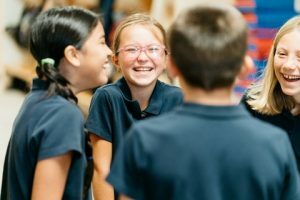 This gives prospective families a unique opportunity to see the school “in action,” meet our excellent teachers and staff, and consult with our Principal. We also have a packet of information about the school that you can pick up from the Administrative Assistant at the Welcome center. Take the next step and schedule a tour today. Please call (608) 831-8540 or fill out the contact form.